Can forcing a smile improve your mood? Life can be tough and days can be extremely hard. My mother always used to tell me to “smile through the rain,” meaning I should smile even though I am going through a hard time. She suggested that smiling when upset can change your entire outlook and mood on the situation at hand. Is this true? Could moving a few muscles virtually change the way you feel in a situation? A study performed by scientists at the University of Illinois and the University at Mannheim, which was published in the Journal of Personality and Social Psychology, was tested to determine how configuring a person’s smile through the use of a pencil would affect a person’s reaction to a situation. The null hypothesis in this study, as we learned in class, would state that people’s facial expressions do not affect their reactions to situations. Other the contrary, the alternative hypothesis under test would state that people’s facial configurations do affect their reactions to certain situations. The study used 92 male and female college aged students where the students were told that they would be holding a pen in their mouth in different variations, in order to simulate physically impaired people and how they do normal, daily functions in ways different than other people. The pen in the subjects mouths would cause them to either create a frown, if the pen was held in between the lips, or as a smile, if the pen was held between the teeth. If the subjects knew that they were being directly tested for how their facial expressions, they might have been able to change the way they reacted to the certain stimulations; thus the researchers only told the students that they would be simulating a physically impaired person’s ways of doing daily tasks. During each variation of the pen in the mouth, (ex: forced-frown versus forced-smile) the participants were given several cartoon pictures, that had a humorous side to them, and were asked to rate the amount of humor each pictured contained, personally, on a 10-point scale. The study found that the students who had forced smiles reported that the pictures were much funnier to them compared to the students who had forced frowns. Because this study was a randomized experimental study, variables that could affect a person’s emotions such as parental divorce, anxiety/depression, and money were randomly distributed between the groups tested. Therefore, in this study, scientists would reject the null hypothesis. In conclusion, it seems to be evident that forcing a smile on the face can affect the way you interpret different situations, both positively and negatively. Although, I feel that I would need to try this theory personally in order to truly believe that the the theory is correct. In addition, there needs to be a meta analysis, or a conclusion drawn from numerous studies results, to determine a better, more definitive conclusion on this question. I believe many confounding variables could be present that could affect a person from truly being able to change the way they feel within a situation depending on variables such as any psychological disorders and strength of the situation being endured. This entry was posted in Uncategorized on December 2, 2016 by Cassandra N Kearns. 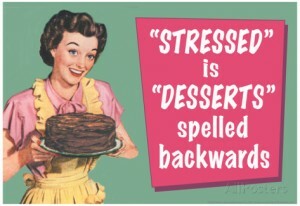 Does stress eating reduce stress? As we get older, life comes with more responsibilities and stresses. Stress is a physical tension in reaction to possible threats. Our bodies are systematically designed to go into “fight of flight” mode when presented with stressful situations, good or bad. Stress can be a good thing, in which it causes you to get things done before a deadline. Contrarily, stress can be a bad thing when prolonged or when the body is put under extreme amounts of stress in short periods of time. When our bodies enter “fight or flight” mode, hormones such as cortisol, adrenaline, and norepinephrine are released. According to Melissa McCreery, PhD., in an interview with CNN, we reach for a pint of Ben & Jerry’s when stressed due to the release of cortisol, which controls the body’s appetite. Although cortisol is released during stressful times in all humans, some people lose their appetite when stressed, and others turn to substances other than food to cure the stress. Gender differences can create more stress eating in woman compared to men. Woman tend to eat when faced with stressful situations whereas men tend to drink to suppress the stress. But the question that is being asked is: does turning to food or another substance actually help to reduce the stress in our lives? Eating certain types of foods increase our weight gain when stressed, and therefore could possibly increase the stress more. Other foods, such as leafy greens, have been said to decrease stress. Green leafy vegetables contain folate which was shown to lower depression in a study, that was published in the Journal of Affective Disroders. The study consisted of 4,500 people, which is a large enough study to rule out any results being determined by chance, studied the effects of eating greens that are high in folate on emotional symptoms. Unfortunately, the study only examined people between the aged of 45-74 years old. According to a survey by the Higher Education Research Institute, college aged students’ emotional health rated extremely low, accompanied by extreme levels of stress. I feel that the age rage that was studied above, including people that are in retirement, does not give a good depiction of the American stress epidemic. When searching for studies that show how leafy greens affected the stress levels of college aged students, there were insignificant studies that only showed the relationship between stress and weight gain, and no studies that directly looked at the relationship between eating healthy foods or unhealthy foods and the level of stress afterwards. Therefore, many more studies, including a meta-analysis, need to be conducted to show whether the idea of stress eating, such as reaching for the pint of Ben & Jerry’s after a break up, makes us feel any less stressed. This entry was posted in Uncategorized on December 1, 2016 by Cassandra N Kearns. Can you become addicted to sleep? Sleep is a fundamental, biological need. Our bodies need sleep in order to function. 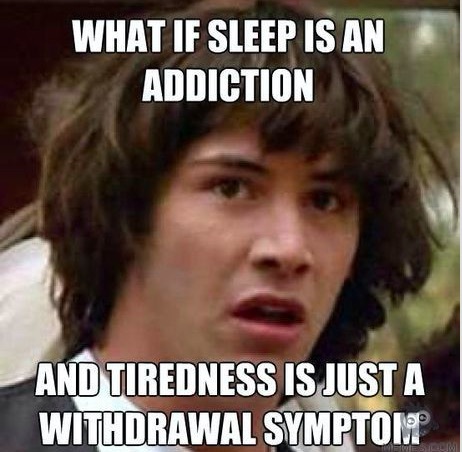 As an avid napper/sleeper, I often question if one could become addicted to sleep? Using anecdotal evidence, or evidence derived from personal experiences added together to come to a conclusion, I often see that my friends and I feel more inclined to take a nap or sleep after we have slept for a long time. Did our bodies become addicted to the feeling of rest? Is this possible? After doing some research on the idea of sleep addiction, I found no hard scientific evidence for this idea. Though, I did find many threads on different forums where people made arguments against the idea of sleep addiction. PhoenixEnder, a user through a science forum, argued that there is no such way that someone could become addicted to a physical need. He or she compared sleep addiction to the idea of being addicted to gambling. In the psychology DSM, there are clear criteria and symptoms for this disorder. When trying to create, match, or find criteria for a sleep addiction, none were found. Particularly, one of PhoenixEnder’s strong points of his/her argument was the criteria of addiction listed as number 2. It stated the idea that a person would need to sleep more each night in order to achieve the same bodily reaction or response, such as the need to gamble more and more to reach the “high” created from the activity. Dr. Neil Kline, a little bit more of a reliable source, who is a member of the American Sleep Association, also argued against the idea of sleep addiction. Similar to PhoenixEnder’s idea of sleep being a physical, biological need, Dr. Kline agreed that one could not become addicted to a biological need. He compared being addicted to sleep as being addicted to air. But, honestly, his comparison made me question his argument. As Dr. Kline compared an addiction to sleep with being addicted to air, a biological need, I thought about being addicted to food. Food is a biological need, and can be highly addictive. A scientific review of Nobel et al at UCLA, a study that found that people who were binging on carbohydrate-rich foods had a similar brain chemical as people who were addicted to drugs. The study also discovered that people who had this change in their brain makeup had physical cravings for food when stimulated by pictures, or environmental factors. Although there are studies that possibly prove food addiction could be a true disorder, there needs to be a lot more research on the idea of sleep addiction. Both food and sleep are biological needs, so I am not sure I agree quite yet with PhoenixEnder and Dr. Kline’s arguments, because there is extensive evidence showing that another biological need can be just as addictive. In order to test whether sleep can be addictive, one could possibly test the same way scientists tested whether food was addictive. In class, we learned about different types of studies and ways that scientists could conduct the. I am no scientist, but I tried to think of a way that the possibility of sleep addiction could be studied. An experimental study could be conducted, where a randomized group of people are observed for how long they sleep and possible brain changes that comes with different hours they sleep. The study would remain experimental versus observational because scientists would change the amount of hours a person sleeps, being the x variable, and would test for possible changes in the brain, being the y variable. The control group of people would sleep the “normal” amount of hours per night, and scientists would compare the manipulated group to the base images of the control group brains to see whether any changes occurred. Do carrots actually improve your eye sight? Since we were children, our parents have told us that eating vegetables would make us as strong as our favorite superhero. Specifically, our parents would tell some of us that eating carrots would give us 20/20 vision. How true is this statement? After growing up eating plates full of carrots, I was still given a prescription for glasses a few years ago. I decided that this question needed some further research in order to determine if eating carrots caused an improvement in one’s eyesight. 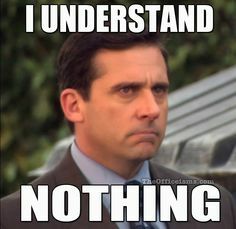 Before I began searching the internet and critically thinking through all of the information I would find, I wanted to think about the null hypothesis and the alternative hypothesis. The null hypothesis in this case would be there eating carrots do not improve eyesight. The alternative hypothesis would state that eating carrots does improve eyesight. When scientists conduct experiments and research, they use the null and alternative hypothesis to create a conclusion to their findings. As Andrew taught us in class, if scientists conclude that the null hypothesis is false (reject the null), meaning carrots do improve eyesight, but in reality carrots do not, then this is called a false positive. In science there is a 5% chance of this happening. On the other hand, if a scientist concludes that the null hypothesis is indeed true (accept the null), meaning carrots do not improve eyesight, and in reality they do improve eyesight, this is called a false negative. After doing research, I found that carrots, and other organically-colored orange foods, are high in Vitamin A. It was said that Vitamin A plays a critical role in supporting strong eyes and those that have a Vitamin A deficiency could lead to a condition known as Keratomalacia. With this condition, one could experience incredibly dry eyes, night blindness, and other symptoms. A randomized, control study in Nepal was conducted in 2005, and published in the American Journal of Clinical Nutrition, where pregnant woman were given different types of locally grown Vitamin A foods, such as carrots and goat liver, in addition to a Vitamin A supplement, and then tested for the affect on their night vision. The pregnant and blind woman were randomly assigned to many different combinations of foods and high/low dose vitamin A supplements. The control group in this study were non-blind woman. A control group of blind, pregnant woman was not used due to unethical practices; pregnant woman in Nepal are more susceptible to death when pregnant and night blind, therefore they must use non-blind woman in order to reduce risk. (Side note: this unethical control group practice reminded me of the class where Andrew talked about childhood cancers, and that it is unethical to place a child in a control group for a clinical cancer treatment.) The control group was not given any other Vitamin A foods or supplements that what they already regularly consumed. The conclusion of the study found that there was no clear different between a Vitamin A supplement versus regular, Vitamin A rich foods on the affect of night blindness in pregnant woman. Although, the study did find that Vitamin A as a whole did improve eyesight in the woman being tested. The study above contains strong evidence, where about 100% of night blind woman reported improvement in their eyesight after consuming Vitamin A. In conclusion, I think it is safe to say that Vitamin A can help improve eyesight when included in a normal diet. Although this study was conducted in Nepal, where vitamin A rich foods may be more scarce than here in the United States, the study controlled for that variable. They brought food and supplements to the woman in different villages, allowing them access to this nutrition. Next time you load up your plate at the dinner table, it may be wise to add a few more carrots to your plate! As a generally healthy eater, I have always enjoyed the said health benefits of dark chocolate. Though, as I thought about the cocoa treat more, I wasn’t sold on the idea that the dark chocolate is all that healthy for you. I decided to do some digging. At face value, dark chocolate contains many great nutrients that are listed directly on the nutrition label. BUT, this only counts if the dark chocolate is made with a high content of cocoa. I found a layout of what nutrition a 100 gram of dark chocolate contains through a food nutrition site, Authority Nutrition, which is an evidence based site that lists all of the nutrition facts about foods that we consume on a daily basis. The site states that a 100g bar of dark chocolate contains about 11 grams of fiber, 58% of magnesium, and 98% manganese. To confirm these numbers, I went to another nutrition site, Self Nutrition Data, which is another site that states facts about the foods we consume, which confirmed that the same numbers were valid for a 100 gram bar of dark chocolate. Self Nutrition Data declared that the vitamin content for a 100 gram bar of dark chocolate included a 58% DV of Magnesium, 67% DV of Iron, and a 98% DV of Manganese. Both websites matched with information about fiber content and calories. 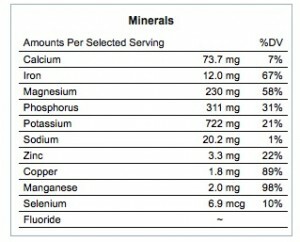 Comparing the two nutrition fact sites, the numbers are almost exact for each vitamin and mineral, therefore I think that the information is valid. At face value, dark chocolate holds a large amount of vitamins and nutrients, as shown by the data from a 100 gram bar. Kris Gunnar’s article about 7 Proven Health Benefits of Dark Chocolate includes an interesting point, saying that 100 grams is a lot of chocolate to indulge in during one day, and that the 100 gram bar comes packed with about 600 calories. He suggests that dark chocolate is best enjoyed in moderation. That makes sense. Although dark chocolate comes with many health benefits, it also comes with not so great benefits (sugar, calories) that need to be split up between enjoyments. With the nutrients that dark chocolate provides, is it possible that the cocoa-filled treat could cause significant changes in health? In this particular context, the null hypothesis would state that dark chocolate would make no changes to a person’s health. On the other hand, the alternative hypothesis would state that the consumption of dark chocolate would cause significant health changes in an individual. As I read up on this question, I found a study that suggested that dark chocolate can improve blood pressure by improving blood flow throughout the body. The study published in the Journal of the American Medical Association studied for the effects that dark chocolate could have on blood pressure. The first study was conducted with 44 adults that all had higher blood pressure. The 44 were randomly given either dark chocolate or white chocolate in order to randomize and control for other confounding variables, such as health history and gender. The results of the study showed that over the 18 weeks over the trial, the people that were given dark chocolate had lowered blood pressures. In relation to the File Drawer problem, which Andrew discussed in class, there is a possibility that the study may have suffered from it. The File Drawer problem is when a scientist puts all of the studies that show no positive results into a “file drawer” and do not publish them. Whenever a positively concluded study is published, there is always the possibility that there are other trials of this study with negative results sitting in a drawer within a scientists laboratory. The idea of whether the previous study may have suffered from the File Drawer problem is further pressed when another study, published by Hypertension, a medical journal based around blood pressure and the such, tested for cocoa-enriched drinks having an effect on blood pressure. The study concluded that blood pressure actually rose when people consumed cocoa-enriched drinks over a period of time, causing the exact opposite effect on the blood pressure as compared to the first study I mentioned. The bottom line is that if eaten in moderation, dark chocolate delivers many health benefits, such as large amounts of vitamins and minerals. In a question if dark chocolate can have a significant impact on health/bodily changes, it is possible pure dark chocolate can aid in lowering blood pressure, but drinks and other dark chocolate additives may not have the same effect. Many more studies must be done, and compared through a meta-analysis, in order to come to a more definitive conclusion to whether dark chocolate can cause significant changes of a person’s blood pressure. This entry was posted in Uncategorized on November 29, 2016 by Cassandra N Kearns. As a person that LOVES to sleep, I find myself asking ‘is sleeping too much a bad thing’? After doing some research, I have found that there are some studies that show that oversleeping can lead to increased risk for heart disease, diabetes, and other illnesses. But why? Our bodies need sleep in order to function, so where does it become too much sleep? Generally, it is said that the average adult should sleep 7-9 hours per night in order for the body to rest and restore proper function. In college, I find it extremely hard to get into a regular routine of sleep, due to exams or papers with hard deadlines, etc. Instead, I rely heavily on naps to get me through the day. After sleeping during the night and my naps during the day added together, sometimes I am sleeping for more than 9 hours per day. But on the weekends, I can sleep for up to 15 hours. The only time I feel completely well rested is when I sleep for about 13 hours. Why do I feel more tired when I sleep 8 hours, than when I sleep 13 hours? Some causes of oversleeping are depression, substance abuse, stress, fatigue, and sleep apnea. During college, I find myself to be a lot more tired all of the time, especially when I have a lot to do. I think this is because I am extremely stressed out, and my main stress relief outlet is sleep. Although I do not see sleeping when I am stressed to be a bad thing, it can be. It has been said that too much sleep can cause depression and increased risk for heart disease. These are due to the fact that living a sedentary lifestyle is bad for the heart, and exercise/normal daily amounts of sleep are needed. In a recent study, it was shown that oversleeping can cause increases of inflammation in the body. It was said that with each additional hour that is slept over 9 hours, the levels of inflammation causing hormones go up by 8% in women. Although, I think there could be other factors that play into this cause of inflammation. In women in particular, our bodies are more prone to inflammation during stressful periods of life, and lack of exercise. After doing research, I still believe that some peoples’ bodies need the sleep more than others. I also think that if you are tired, you need the rest. This entry was posted in Uncategorized on September 15, 2016 by Cassandra N Kearns. Sorority recruitment has just finished, and it is one of the busiest times in many girls’ entire semesters. With recruitment also comes the “recruitment plague,” which is a very real thing- I have had it twice and am still recovering. Why do most, if not all, girls become extremely sick during recruitment here at Penn State? Recruitment is a 12-day-long process of “parties,” where each girl attends in order to meet and get to know each chapter. During these parties, 60+ girls are in a room, where they all shake each others hands and speak in very close quarters. In addition to the constant talking and wear-down of the voice, the process is incredibly stressful and long. Each night, the prospective new members may have up to 8 parties, each varying in times from 15-50 minutes. Even with such a large time commitment in the beginning of the semester, school is still a priority, therefore homework and schoolwork but be completed after the parties, which end at around 11 PM. With the constricted times of these parties, girls are forced to eat snacks and quick meals in between parties and during whatever free time they are so graciously given. These snacks and quick meals are generally bought in South Halls at Louie’s, the convenience store in the commons. Easy Mac and granola bars are just some of the meals girls can grab and eat quickly before they attend their next party. These meals do not provide much, if any, nutrition to the body and immune system that is so desperately needed during this time. Another contributing factor to the “recruitment plague” could be due to the fact that recruitment happens so early on in the semester, right after everyone moves onto the campus and into the dorms. People coming from their homes to small spaces with many other students could cause germs to spread, and therefore sicknesses to arise. The process of recruitment is an easy way for these germs that already exist in the residence halls to spread even more quickly. 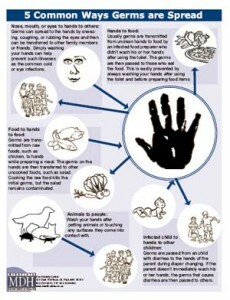 Listed below are 5 ways that germs are spread, and recruitment definitely involves most of them. Stress, long days of talking non-stop and shaking countless hands, accompanied with less sleep and bad eating habits all come together to create a perfect nesting spot for germs to inhabit our bodies. With the destruction of our immune systems through wear-down and not enough rest and nutrients, our bodies do not have the ability to fight off the bacteria and germs that enter our bodies during this busy time. Once one person gets sick, the sicknesses spread from girl to girl faster than you can say the word ‘recruitment’ (not literally). According to a new study viruses can spread in as little as two hour after being put on a common surface, such as a toilet handle or a doorknob. Imagine how fast sicknesses spread when 3,000 girls shake each other’s hands and speak almost mouth-to-ear in crowded, hot rooms.